Our founder, Ollie Livingston, serves in the United States Army as an audiologist, testing the hearing of U.S. servicemen. Ollie Livingston completes military service, moves to Lubbock, and opens Livingston Hearing Aid Center. 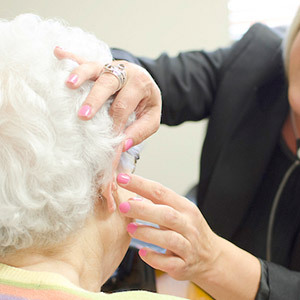 Livingston expands service to care for the hearing impaired in rural West Texas. Livingston celebrates 25 years of successful service. Richard Davila purchases Livingston Hearing Aid Center from Ollie Livingston. Richard’s daughter, Myra Davila, joins the practice. Richard leads lobbying efforts in Washington on matters to protect the hearing impaired. Livingston begins its 5-year expansion into the Dallas/Fort Worth Metroplex by opening an office in Denton. Over 60 years later, a legacy is in the making. 70 locations are on the horizon to serve you better! Welcome! At Livingston, our mission is your hearing health. From setting your appointment to providing your initial consultation, treatment options, and follow-up, we are pleased to be of service to you. We understand that coming to terms with hearing loss and seeking help can feel overwhelming; that’s why competent and compassionate patient care is our priority. And as a family-owned business, we value friendliness and strive to consistently exceed your expectations. Just follow the steps below to a better hearing future. Call the Livingston location nearest you or select the Request an Appointment tab on our website and you will be well on your way. The Location Finder tab on our website will point you in the right direction! Take a few moments to complete an online Patient Information Sheet. This quick and easy form will assist us to accurately diagnose your condition and ultimately determine the best solution for your unique needs and lifestyle. 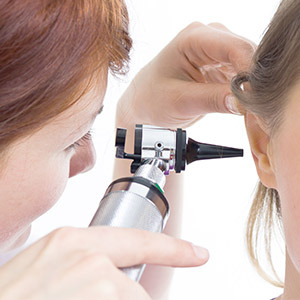 Your Livingston hearing professional will conduct a painless examination of your ears using a video-otoscope, a small camera which projects a video image of your external ear canal onto a digital monitor. Livingston provides the most thorough and comprehensive testing in the industry in the quiet of a soundproof booth. These include warble tones, pure tone testing, speech testing, and quick-SIN. Your clinician will review your test results with you & take time to answer any questions you may have. 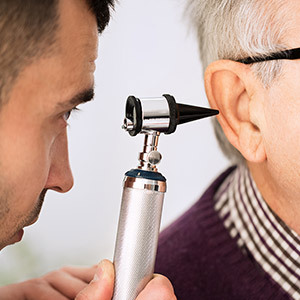 Should it be determined that your hearing could be improved with use of a hearing device, we will provide you with a range of options for your consideration. If needed, your clinician will make molds of your ears in order to precisely customize the fit of your hearing device(s). 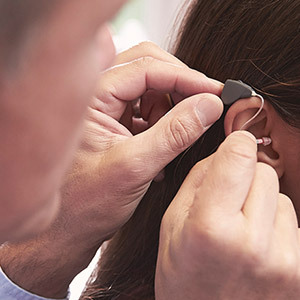 Your hearing aid(s) will then be programmed by means of a computerized Live Speech Mapping process. We understand cost is a key consideration for you. Your clinician will review the cost of treatment options with you, and will communicate what is covered by your insurance. Livingston accepts all major credit cards, and will also work with you to establish a payment plan if needed. You can count on Livingston to perform all cleaning, repairs, and future adjustments to your precision instruments throughout the life of your hearing device(s). As a valued member of the Livingston family, it is our pleasure to serve you. Choose a location to meet your local Livingston Team.